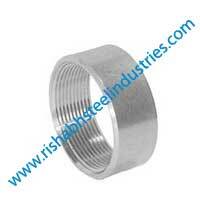 Rishabh Steel Industries is an approved manufacturer of Forged Screwed-threaded Half Coupling & we are ISO 9001:2008 certified company. Our Stainless Steel Threaded Half Coupling are used in Marine engineering, Chemical processing, Hydro-carbon processing, Heat exchangers, Valves manufacturing, Pumps manufacturing, Petrochemical plants, Nuclear power projects, Oil & Gas equipment manufacturing and shipped to UAE, OMAN, SAUDI ARABIA, QATAR, KUWAIT, TURKEY & SINGAPORE. We procure raw materials to manufacture Forged Screwed-threaded Half Coupling from ISO and PED approved mills- Raw Material Origin Indian Mills & European Mills. 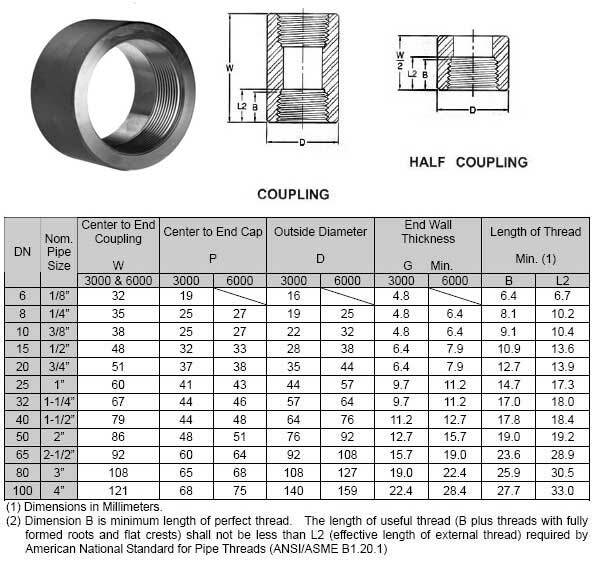 If you are looking for Forged Screwed-threaded Half Coupling shipped to you country check our free sample of Threaded Pipe Coupling along free quote. 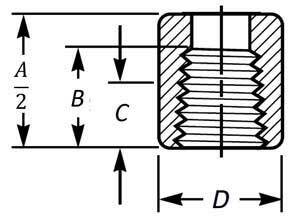 We can guarantee best price of Forged Screwed-threaded Half Coupling & fastest delivery in your country, you can test our free sample of Forged Screwed-threaded Half Coupling at your end before placing the order. We have gained several Orders of Forged Screwed-threaded Half Coupling from countries like United Arab Emirates, Oman, Riyadh(Saudi Arabia), Qatar, Kuwait, Turkey, Singapore, Indonesia, Thailand, Vietnam, Bangladesh & other countries in the GCC region. 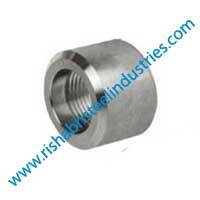 OUR ALL FORGED SCREWED-THREADED HALF COUPLING COMES WITH MINIMUM 5 YEARS WARRANTY. 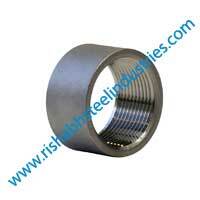 We supply Forged Screwed-threaded Half Coupling after wrapping in bubble wrap & after that packed in wooden boxes. Forged Screwed-threaded Half Coupling are offered with a NACE 3.1 Certification, Mill Test Certification and after world class Third party inspection. We have ready stock of Forged Screwed-threaded Half Coupling in all sizes, in Seamless and Welded to cater to immediate delivery for break down & in ongoing projects. 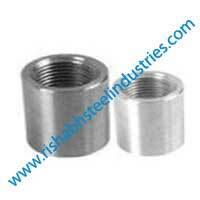 We welcome our clients, who want to visit our factory & stockyard in Mumbai, Hyderabad, Bangalore/ Bengaluru & request them to check quality of our Forged Screwed-threaded Half Coupling before buying from INDIA.